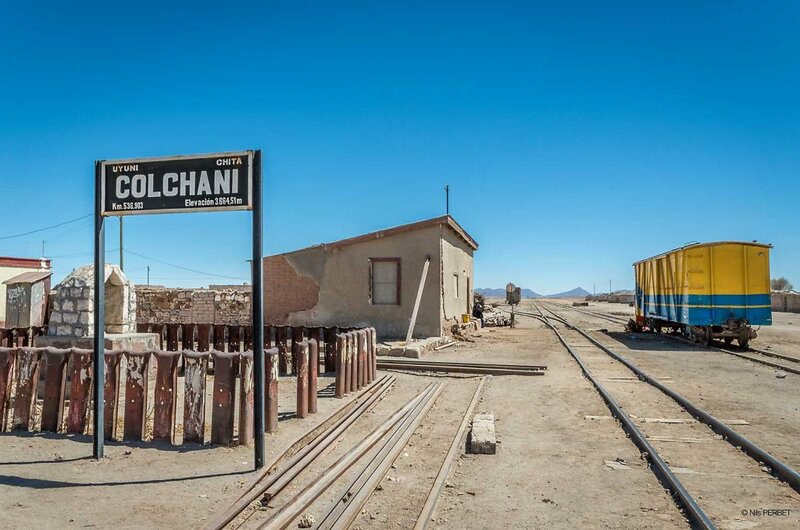 Colchani (Potosi) is a small town in Bolivia, known as the entrance of the Salar de Uyuni. Most of the unhabitant of this town are exploiting the salt from the Salar. Trains are used to export this salt.